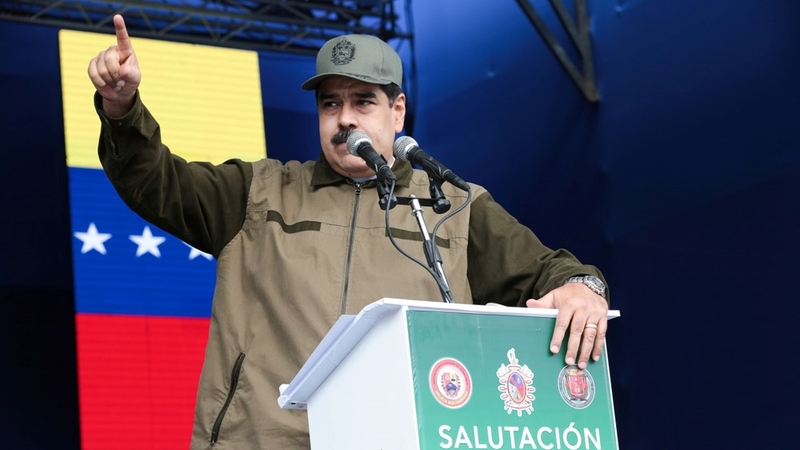 A man who identifies himself as a Venezuelan national guard sergeant at a military post in Caracas called for the removal of President Nicolas Maduro, a video circulating on social media show . The video did not show a significant movement of troops or military vehicles. Social Media Photos on Monday showed the presence of security forces within the National Guard Outpost. The news agency Reuters could not independently confirm the video. 8 election widely considered fraudulent by countries around the world dismissed his government. The United States and many Latin American nations say that Maduro has become a dictator whose failed state policies have hit Venezuela in its worst economic crisis, while inflation is approaching two million percent. Maduro has said an American regime "economic war" is trying to force him out of power.